and sheer hard work, its proprietor, Roger Fernandez, raised the quality to levels of excellence. This know-how has been continued by his grandson Jean with the same respect for tradition and work well done and the desire to offer a quality product. A well concentrated Merlot with great finesse and a fruity nose of black berries and mild spice. 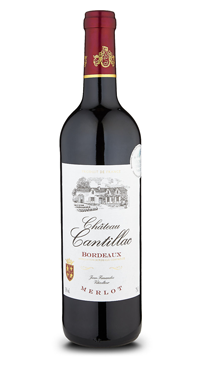 A soft fruity attack with silky tannins and ripe fruit on the finish.